What is a cupbearer? A high-ranking officer whose duty is to serve drinks to the king (guarding it against poison). Why did Nehemiah go to Jerusalem? To lead the people to rebuild the broken walls and the burnt gates — a city without walls is in disgrace and without protection from enemies. 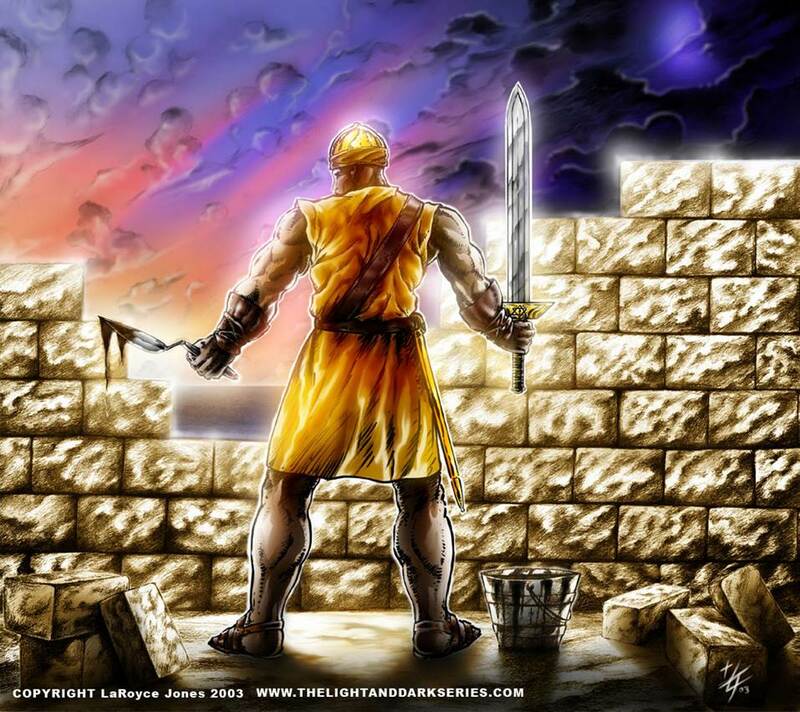 When Nehemiah first went to examine the walls, what did he see? Ruins. A mess. What did Nehemiah say to the people to encourage them? The God of heaven will give us success. In anything we do, we would face difficulties or opposition — people who go against what we are doing. Obviously Nehemiah and the people of Jerusalem faced their share of challenges. Their enemies did not want Jerusalem’s walls to be built. Attacked their ability: Will they fortify themselves? Will they offer sacrifices?Will they complete in a day? Will they revive the stones from the heaps of rubbish? Whatever they build, if even a fox goes up on it, he will break down their stone wall. “From whatever place you turn, they will be upon us.” à told 10x! We can also face opposition and challenges by knowing who we are in Christ and what He has done for us! We can stand against the devil by putting on the whole armour of God (Eph 6:10-13) Therefore take up the whole armor of God, that you may be able to withstand in the evil day, and having done all, to stand. What can we do when we face challenges? Get kids to share what sort of challenges they face.